She's known him since she was fifteen. Every night, he is with her: his face, his voice. 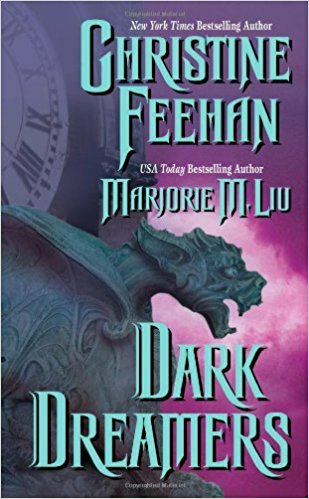 Tonight, Sara Marten will meet the man who is both angel and demon, salvation and temptation: Falcon—the Carpathian, the banished hero. Tonight, Sara will meet the dark-eyed destroyer destined to be her mate. 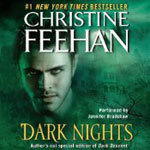 Dark Nights includes two short Dark Series stories: Dark Dream and Dark Descent. In this version of Dark Descent, a hundred pages have been added to the version that appeared in The Only One. 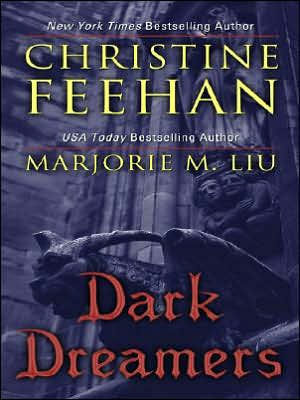 This is the e-book version of Dark Dream. 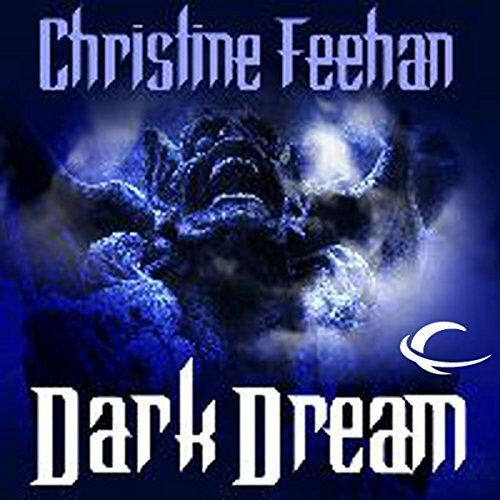 Christine: "This is a re-issue of my novella titled Dark Dream. 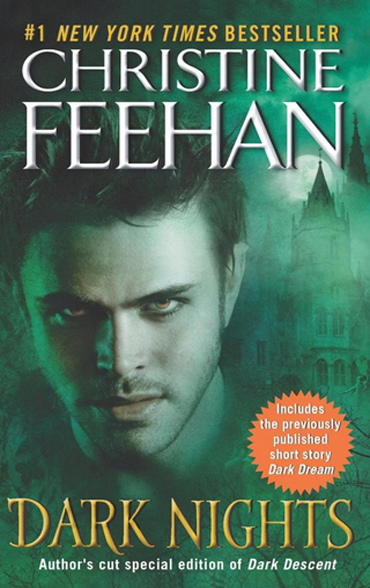 It was originally released in an anthology titled After Twilight. 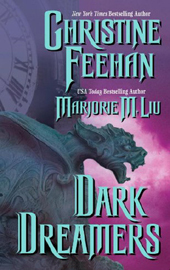 Dark Dreamers features a brand new story by Marjorie M. Liu titled A Dream of Stone and Shadow. Marjorie is a wonderful writer and a wonderful person. I hope you enjoy!" 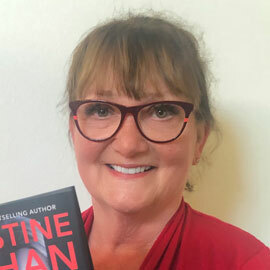 Christine: "This anthology was very important to me to be a part of as I wanted to thank you for your fantastic support. I have brought together two special people for a journey into a magical tale of timeless love. 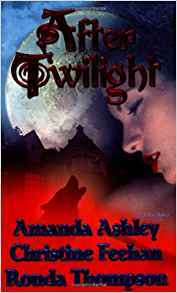 More importantly, I wanted to share with you a true storyteller, unsurpassed in her craft, Amanda Ashley. That is the highest compliment I could ever pay a writer. I love her books and each one has a place on my keeper shelf. Ronda Thompson is a more recent discovery for me and she can make you laugh or cry or make the hair on the back of your neck stand up, but most importantly, she waves a tale of pure romance!" I picked up a magazine while waiting to be called in for an appointment and came across an article about these "sewer children". They were children who lived in the sewers in Romania. It was heart wrenching. In this article it told of a woman who lived in the United States, who'd read about these children and was moved to help them. She went to Romania, got a job, and set up a place for these children to come to get food, clothes and other necessities. She was amazing, not just trying to do more, but actually doing so much on her own. To me, this woman was the ultimate heroine. 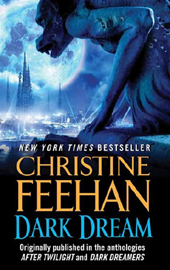 It was this woman who I had in mind when I wrote the heroine, Sara, for Dark Dream. The streets were filthy and smelled of decay and waste. The dreary drizzle of rain could not possibly dispel the offensive odor. Trash littered the entrances to run-down, crumbling buildings. Ragged shelters of cardboard and tin were stacked in every alleyway, every conceivable place, tiny cubicles for bodies with nowhere else to go. Rats scurried through the garbage cans and gutters, prowled through the basements and walls. Falcon moved through the shadows silently, watchful, aware of the seething life in the underbelly of the city. This was where the dregs lived, the homeless, the drunks, the predators who preyed on the helpless and unwary. He knew eyes were watching him as he made his way along the streets, slipping from shadow to shadow. They couldn't make him out, his body fluid, blending, a part of the night making the watchers cautious. It was a scene that had been played out a thousand times, in a thousand places. He was weary of the predictability of human nature. Beast or man, there were few surprises left to him. Falcon was making his way back to his homeland. For far too many centuries he had been utterly alone. He had grown in power, had grown in strength. The beast within him had grown in strength and power also, roaring for release continually, demanding blood. Demanding the kill. Demanding just once, for one moment, to feel. He wanted to go home, to feel the soil soak into his pores, to look upon the Prince of his people and know he had fulfilled his word of honor. That the sacrifices he had made had counted for something. He had heard the rumors of a new hope for his people. Falcon accepted it was too late for him, but he wanted to know, before his life was over, that there was hope for other males, that his life had counted for something. He wanted to see with his own eyes, the Prince's lifemate, a human woman who had been successfully converted. He had seen too much death, too much evil. Before ending his existence he needed to look upon something pure and good and see the reason he had battled for so many long centuries. His eyes glittered with a strange red flame, shining in the night as he moved silently through the filthy streets. Falcon was uncertain if he would make it back to his homeland, but he was determined to try. He had left it far too long, already bordering on madness. He had little time left, the darkness nearly consuming his soul. He could feel the danger in every step he took. Not emanating from the dirty streets and shadowed buildings, but from deep within his own body. He heard a sound, like the soft shuffle of feet. Falcon continued walking, praying as he did so, for the salvation of his own soul. He was hungry and had need of sustenance and he was at his most vulnerable. The beast was roaring with eagerness, claws barely sheathed. Within his mouth his fangs began to lengthen in anticipation. He was careful now to hunt among the guilty, not wanting innocent blood should he be unable to turn away from the dark call to his soul. The sound alerted him again, this time many soft feet, many whispers of voices. A conspiracy of children. They came running toward him from the three story hulk of a building, a swarm of them, rushing toward him like a plague of bees. They called out for food, for money. The children surrounded him, a half dozen of them, all sizes, their tiny hands slipping under his cloak and cleverly into his pockets as they patted him, their voices pleading and begging. The young ones. Children. His species rarely could keep their sons and daughters alive beyond their first year. So few made it, and yet these children, as precious as they were, had no one to cherish them. Three were female with enormous, sad eyes. They wore torn, ragged clothing and had dirt smeared across bruised little faces. He could hear the fear in their pounding hearts as they begged for food, for money, for any little scrap. Each expected blows and rebuffs from him and was ready to dodge away at the first sign of aggression. Falcon patted a head gently and murmured a soft word of regret. He had no need of the wealth he had acquired throughout his long lifetime. This would have been the place for it, yet he had brought nothing with him. He slept in the ground and hunted live prey. He had no need of money where he was going. The children all seemed to be talking at once, an assault on his ears, when a low whistle stopped them abruptly. There was instant silence. The children whirled around and simply melted into the shadows, into the recesses of the dilapidated and condemned buildings as if they had never been. The whistle was very low, very soft, yet he heard it clearly through the rain and darkness. It carried on the wind straight to his ears. The sound was intriguing. The tone seemed to be pitched just for him. A warning, perhaps, for the children, but for him it was a temptation, a seduction of his senses. It threw him, that soft little whistle. It intrigued him. It drew his attention as nothing had in the past several hundred years. He could almost see the notes dancing in the rain-wet air. The sound slipped past his guard and found its way into his body, like an arrow aimed straight for his heart. Another noise intruded. This time it was the tread of heavier boots. The sound of deadly conspiracy. He knew what was coming now, the thugs of the street. The bullies who believed they owned the turf and anyone who dared to walk in their territory had to pay a price. They were looking at the cut of his clothes, the fit of his silk shirt beneath the richly lined cape and they were drawn into his trap just as he knew they would be. It was always the same. Every land. Every city. Every decade. There were always the packs who ran together bent on destroying, wanting the right to take what did not belong to them. The incisors in his mouth once more began to lengthen. His heart was beating faster than normal, a phenomenon that intrigued him. His heart was always the same, rock steady. He controlled it casually, easily, as he controlled every aspect of his body, but the racing of his heart was unusual and anything different was welcomed. These men, taking their places to surround him, would not die at his hands this night. They had escaped from the ultimate predator and his soul would remain intact because of two things. That soft whistle and his accelerated heartbeat. An odd, misshapen figure emerged from a doorway straight in front of him. "Run for it, Mister," the voice was low, husky, the warning clear. The strange, lumpy shape immediately melted back and blended into some hidden cranny. Falcon stopped walking, everything in him going completely, utterly still. He had not seen color in nearly two thousand years, yet he was staring at an appalling shade of red paint peeling from the remnants of a building. It was impossible, not real. Perhaps he was losing his mind as well as his soul. No one had told him a preliminary to losing his soul was to see in color. The undead would have bragged of such a feat. He took a step toward the building where the owner of that voice had disappeared. It was too late. The robbers were spreading out in a loose semi-circle around him. They were large, many of them deliberately displaying weapons to intimidate. He saw the gleam of a knife, a long handled club. They wanted him scared and ready to hand over his wallet. It wouldn't end there, he had witnessed this same scenario too many times not to know what to expect. Any other time he would have been a beast whirling in their midst, feeding on them until the aching hunger was assuaged, until he dared not tempt the demon roaring within for the ultimate. Tonight was different. It was nearly disorienting. Instead of seeing in a bland gray, Falcon could see them in vivid color, blue and purple shirts, one an atrocious orange. Everything seemed vivid. His hearing was far more acute even than normal. The dazzling raindrops in threads of glittering silver and gray. Falcon inhaled the night, taking in the scents, separating each until he found the one he was looking for. That slight misshapen figure was not a male, but a female. And that woman had already changed his life for all time. The men were close now, the leader calling out to him. "Throw me your wallet." There was no pretending, no preliminary. They were going to get straight down to the business of robbing, of murdering. Falcon raised his head slowly until his fiery gaze met the leader's cocky stare. The man's smile faltered, then died. He could see the demon rising, the red flames flickering deep in the depths of Falcon's eyes. Without warning the misshapen figure was in front of Falcon, reaching for his hand, dragging at him. "Run you idiot, run now," she was tugging at his hand, attempting to drag him closer toward the darkened buildings. Urgency. Fear. The fear was for him, for his safety. His heart turned over, a funny melting flip. The voice was melodic, that perfect blend that seeped inside his body and wrapped itself around his heart. Need slammed into his body, into his soul. Deep and hard and urgent . It roared through his bloodstream with the force of a freight train. He couldn't see her face or her body, he had no idea what she looked like, or even her age, but his soul was crying out for hers. "You again," the leader of the street gang turned his attention away from the stranger and toward the woman. "I told you to stay outa here!" His voice was harsh and filled with threat. He took a threatening step toward her. The last thing Falcon expected was for the woman to attack. "Run," she hissed again and launched herself at the leader. She went in low and mean, sweeping his legs out from under him so that the man landed on his backside. She kicked him hard, using the edge of her foot to get rid of the knife. The man howled in pain when she connected with his wrist and the knife went spinning out of his hand. She kicked the knife again, sending it skittering over the sidewalk into the gutter. Then she was gone, running swiftly into the darkened alleyway, melting into the shadows. Her footfalls were light, almost a strain for Falcon's acute hearing. He didn't want to lose sight of her, but the rest of the men were closing in, furious for their fallen leader. The man was swearing loudly, vowing to tear out the woman's heart, screaming at his friends to kill the tourist. Falcon waited silently for them to move in close, swinging bats and lead pipes at him from several directions. He moved with preternatural speed, his hand catching the lead pipe, ripping it out of astonished hands and deliberately bending it into a circle. It took no effort on his part and no more than a tenth of second. He draped it around the pipe wielder's head like a necklace. He shoved the man with his casual strength, sent him flying against the wall of the building some ten feet away. The circle of attackers was more wary now, afraid to close in on him. Even the leader had gone silent, still clutching his injured hand. Falcon was distracted, his mind on the mysterious woman who had risked her life to rescue him, risked incurring the wrath of the men who owned the streets. He had no time for battle and his hunger was gnawing at him. He let it find him, consume him, the beast rising so that the red haze was in his mind and the flames flickered hungrily in the depths of his eyes. He turned his head slowly and smiled, his fangs showing as he sprang. He heard the frenzied screams as if from a distance, felt the flailing of arms at him as he grabbed the first of his prey. It was almost too much trouble to wave his hand and command silence, to keep the group under control. Hearts were pounding out a frantic rhythm, beating so loud the threat of heart attack was very real, yet he couldn't find the mercy in him to take the time to shield their minds. He bent his head and drank deeply. The moans from the men were jumbled together in his mind. 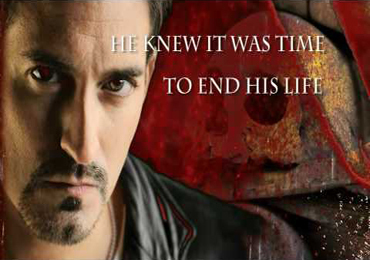 The rush was fast and addicting, the adrenaline-laced blood giving him a kind of false high. He sensed he was in danger, that the darkness was enveloping him, but he couldn't seem to find the discipline and control to stop himself. It was a small sound that alerted him, and that alone told him just how far gone he really was. He should have sensed her presence immediately. She had come back for him, come back to aid him. He looked at her, his black eyes moving over her face hungrily. Blazing with urgent need. Red flames flickering. Possession stamped there. "What are you?" The woman's voice brought him back to the reality of what he was doing. Soft. Gasping in shock. She stood only feet from him, staring at him with large, haunted eyes. "What are you?" She asked it again and this time the note of fear registered deep in his heart. Falcon lifted his head and a trickle of blood seeped down his prey's neck. He saw himself through her eyes. Fangs, wild hair, only red flames in his otherwise empty eyes. He looked a beast, a monster to her. He held out his hand, needing to touch her, to reassure her, to thank her for stopping him before it was too late. Sara Marten stepped backward, shaking her head, her eyes on the blood running down Nordov's neck to stain his absurdly orange shirt. Then she whirled around and ran for her life. Ran as if a demon were hunting her. And he was. She knew it. The knowledge was locked deep within her soul. It wasn't the first time she had seen such a monster and she had managed to elude it time and again, but this time was very different. She had been inexplicably drawn to this one. She had gone back to ensure he had gotten away from the night gang. She had needed to see that he was safe. Something inside her had demanded she save him. had looked at her. She recognized possession when she saw it. Desire. His eyes had leapt to life. Burning with an intensity she had never seen before. Burning for her as if he had marked her for himself. For his prey. The children would be safe now, deep in the bowels of the sewers. Sara had to save herself if she was going to continue to be of any assistance to them. She jumped over a pile of rubble and ducked through a narrow opening that took her to a stairwell. She took the stairs two at a time, going up to the next story. There was a hole in the wall enabling her to take a shortcut through two apartments, push through a broken door and out onto a balcony where she caught the lowest rung of the ladder and dragged it down. Sara went up the rungs fast with the ease of much practice. She had scoped out a hundred escape routes before she had ever started working in the streets, knowing it would be an essential part of her life. Practicing running each route, shaving off seconds, a minute, finding short cuts through the buildings and alleyways over and over, Sara had learned the secret passageways of the underworld. She was up on the roof running swiftly, not even pausing before launching herself onto the roof of the next building. She moved across that one, leapt a small fan and skirted around a pile of decaying matter to jump to a third roof. She landed on her feet already running for the stairs. She didn't bother with the rungs of the ladder, but slid down the poles to the first story and ducked inside of a broken window. A man lolling on a broken down couch looked up from his drug induced fog and stared at her. Sara waved as she hopped over his outstretched legs. She was forced to avoid two other bodies lying sprawled on the floor. Scrambling over them, she was out the door and running across the hall to the opposite apartment. The door was hanging on its hinges, not even enough to slow her down. She went through it fast, avoided the occupants as she crossed the floor to the opposite window. Sara had to slow down to climb through the broken glass. The splintered remains caught at her clothes, so that she struggled a moment, her heart pounding and her lungs screaming for air. She was forced to use precious seconds to drag her jacket free. The splinters scraped across her hand, shearing off skin, but she thrust her way outside into the open air and the drizzling rain. Sara took a deep, calming breath, allowing the rain to run down her face, to cleanse the tiny beads of sweat from her skin. Suddenly she went very still, every muscle locked, frozen. A terrible shiver went down her spine. He was on the move. Tracking her. She felt him moving, fast and unrelenting. She left no trail through the buildings, she was fast and quiet, yet he wasn't even slowed down by the twists and turns. He was tracking her unerringly. She knew it absolutely. Somehow through the unfamiliar area, the crumbling complex of shattered buildings, the small holes and shortcuts he was on her trail. Unswerving, undeterred and absolutely certain he would find her. Sara tasted fear in her mouth. She had always managed to escape. This was no different. She had brains, skills, she knew the area and he didn't. She wiped grimly at her forehead with the sleeve of her jacket, suddenly wondering if he could smell her in the midst of the decay and ruins. The thought was horrifying. She had seen what his kind could do. The evidence of a monster's work. She had seen the broken, drained bodies, white and still, wearing a mask of horror. Sara pushed the memories away from her, determined not to give in to fear and panic. That way lay disaster. She set off again, moving quickly, working harder at keeping her footfalls light, her breathing soft and controlled. She ran fast through a narrow corridor between two buildings, ducked around the corner and slipped through a tear in the chain link fence. Her jacket was bulky and it took seconds of pressure to force her way through the small opening. Her pursuer was large and he'd never be able to make it through that space, he would have to go around the entire complex. She ran into the street, racing now with long open strides, arms pumping so that her heart was beating loudly, wildly. Aching. She didn't understand why she would feel such grief welling up, but it was there all the same. The narrow, ugly streets widened until she was in on the fringe of normal society. She was still in the older part of the city with its century old buildings. She didn't slow down, but cut through parking lots, ducked around stores and made her way unerringly uptown. Modern buildings loomed large, stretching into the night sky. Her lungs were burning, forcing her to slow to a jog. She was safe now, the lights of the city beginning to appear, bright and welcoming. There was more traffic as she neared the residential areas. She continued jogging on her path. The terrible tension was beginning to leave her body now, so that she could think, could go over the details of what she had seen. Not his face, it was in the shadows. Everything about him seemed shadowed and vague. Except his eyes. Those black, flame-filled eyes. He was very dangerous and he had looked at her. Marked her. Desired her in some way. She could hear her own footsteps beating out a rhythm to match the pounding of her heart as she hurried through the streets, fear beating at her. From somewhere came the impression of a call, a wild yearning, an aching promise, turbulent and primitive so that it seemed to match the frantic drumbeat of her heart. It came, not from outside herself, but rather from within, not even from inside her head, but welling up from her very soul. Sara forced her body to continue forward, moving through the streets and parking lots, through the twists and turns of familiar neighborhoods until she reached her own house. It was a small cottage, nestled back away from the rest of the homes, shrouded with large bushes and trees that gave her a semblance of privacy in the well-populated city. Sara opened her door with shaking hands and staggered inside. She dropped her soggy jacket on the entryway floor. She had sewn several bulky pillows into the overlarge jacket so that it would be impossible to tell what she looked like. Her hair was pressed tight on her head, hidden beneath her misshapen hat. She flung the hairpins carelessly onto the counter top as she hurried through to her bathroom. She was shaking uncontrollably so that her legs were trembling, nearly unable to hold her up. Sara tore off her wet, sweaty clothes and turned on the hot water full blast. She sat in the shower stall, hugging herself, trying to wipe away the memories she had blocked from her mind for so many years. She had been a teenager when she had first encountered the monster. She had looked at him, and he had seen her. She had been the one to draw that beast to her family. She was responsible and she would never be able to absolve herself of the terrible weight of her guilt. Sara could feel the tears on her face, mingling with the water pouring over her body. It was wrong to cower in her shower like a child. She knew it did no good. Someone had to face the monsters of the world and do something about them. It was a luxury to sit and cry, to wallow in her own self pity and fear. She owed her family more than that, much more. She had hidden like the child she was, listening to the screams, the pleas, seeing the blood seeping under the door, and still she hadn't gone out to face the monster. She had hidden herself, pressing her hands to her ears, but she could never block out the sounds, she would hear them for eternity. Slowly she forced her muscles under control, forced them to work once again, to support her weight as she drew herself reluctantly to her feet. She washed the fear from her body along with the sweat of running. It felt as if she had been running most of her life. She lived in the shadows, knew the darkness well. Sara shampooed her thick hair, running her fingers through the silken strands in an attempt to untangle them. The hot water was helping her overcome her weakness. She waited until she could breathe again before she stepped out of the stall to wrap a thick towel around her. She stared at herself in the mirror. She was all enormous eyes. So blue they were violet as if two dark, vivid pansies had been pressed into her face. Her hand was throbbing and she looked at it with surprise. The skin was shredded from the top of her hand to her wrist, and just looking at it made it sting. Fresh blood was oozing so she wrapped it in the towel and padded barefoot into her bedroom. Dragging on drawstring pants and a tank top, she made her way to the kitchen and made herself a cup of tea. The age old ritual allowed a semblance of peace to seep into her world again and make it right. She was alive. She was breathing. There were still the children who needed her desperately and the plans she had been making for so long. She was almost through the red tape, almost able to realize her dream. Monsters were everywhere, in every country, every city, every walk of life. She lived among the rich and she found them there. She walked among the poor, and they were there. She knew that now. She could live with it, but she was determined she would save the ones she could. Sara raked a hand through her cap of thick chestnut hair, spiking the ends, wanting it to dry. With her teacup in hand, she wandered back outside onto her tiny porch, to sit in the swing, a luxury she couldn't pass up. The sound of the rain was reassuring, the breeze on her face welcome. She sipped the tea cautiously, allowing the stillness in her to overcome the pounding fear, to retake each of her memories, solidly closing the doors on them one by one. She had learned there were some things best left alone, memories that need never be looked at again. She stared absently out into the dazzling rain. The drops fell softly, melodically onto the leaves of the bushes and shimmered a silver in the night air. The sound of water had always been soothing to her. She loved the ocean, the lakes, rivers, anywhere there was a body of water. The rain softened the noises of the streets, lessened the harsh sounds of traffic so she could keep the illusion of being far away from the heart of the city. She needed every one of her illusions, it was how she stayed sane. Sara sighed and set her teacup on the edge of the porch, rising to pace across the small confines. She would never sleep this night, she knew she would sit in her swing, wrapped in a blanket and watch the night fade to dawn. Her family was too close even with all of her careful closing off of her memories. They were ghosts, haunting her world. She would give them this night and allow them to fade. Sara stared out into the night, into the darker shadows of the trees. The images captured in those gray spaces always intrigued her. When the shadows merged, what was there? Waiting. Watching. She stared at the wavering shadows and suddenly stiffened. There was someone, no, something in those shadows, gray, like the darkness, watching her. Motionless. Completely still. She saw the eyes then. Unblinking. Relentless. Black with bright red flames. Those eyes were fixed on her, marking her. Sara whirled around, springing for the door, her heart nearly stopping. The thing moved with incredible speed, landing on the porch before she could even touch the door. The distance separating them had been nearly forty feet, but he was that fast, managing to seize her, gripping her with his strong hands. Sara felt the breath slam out of her body as she impacted against her captor, his body hard, like iron. Without hesitating she brought her fist up into his throat, jabbing hard as she stepped back to kick his kneecap. Only she didn't connect. Her fist went harmlessly by his head and he dragged her against him, easily pinning both of her wrists in one large hand. He smelled wild, dangerous, and he his body was as hard as a tree trunk. Banished and alone Falcon is a predator, a Carpathian. Sara is a survivor, a leader, alone. When Falcon sees her he is flooded with color and light. Only his lifemate could make him see color again. And she is a ragamuffin warrior of the streets, a young woman fighting to save others. When she tries to save Falcon from robbers she finds he is no ones victim. He is not afraid. He is not gentle. He is not human. And now he wants her and will stop at nothing to have her.